Whether you are migrating a top 500 e-commerce business, or merely creating a personal homepage on the internet, DLP has the solution. We offer hosting accounts and dedicated servers to fit a wide range of requirements, and can also build a custom hosting package to cater to your needs. Above all else, Data Link Professionals puts our clients first. In an industry cluttered with competing technologies and varying levels of service, DLP’s leadership position is upheld through our customer-centric business model which allows our customers to be in complete control of their online presence. 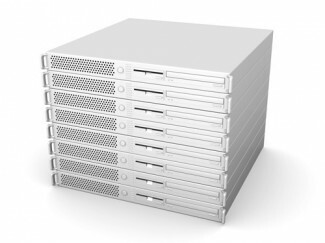 Are you in need of a dedicated server, but lack the expertise to maintain one? DLP offers mid managed and fully managed solutions to take the burden off of the customer, and allow you more time to take care of you web site… not the hardware running it. DLP has trained staff monitoring the ups and downs of every inch of our network, 24 hours per day, to allow you the peace of mind to rest securely, while traffic is still coming to your web site. Find out for yourself why DLP is the choice for some of the internet’s largest web sites.